I wouldn’t have ever found Night Gallery had it not been for Lorina Dunlop. And as you should expect from a story that involves Rod Serling, this one has a twist at the end. Last night, I finally watched Lorina’s segment, “Eyes,” which starred Joan Crawford as Claudia Menlo, a cruel, rich woman woman who undergoes experimental surgery that can restore her sight — but for only twelve hours. In a traditional, Twilight Zone-y twist, there’s a citywide blackout at the moment she removes her bandages, and Menlo only sees a few fleeting moments of a sunrise before her time is up. She never gets a chance to gaze upon her extensive art collection, which, now that I think about it, is a strange thing for a blind woman to spend years amassing, and why didn’t she plan her twelve hours of eyesight so that it would happen during the daylight anyway? The entire segment — which was directed by a then-unknown Steven Spielberg — is currently available on YouTube. 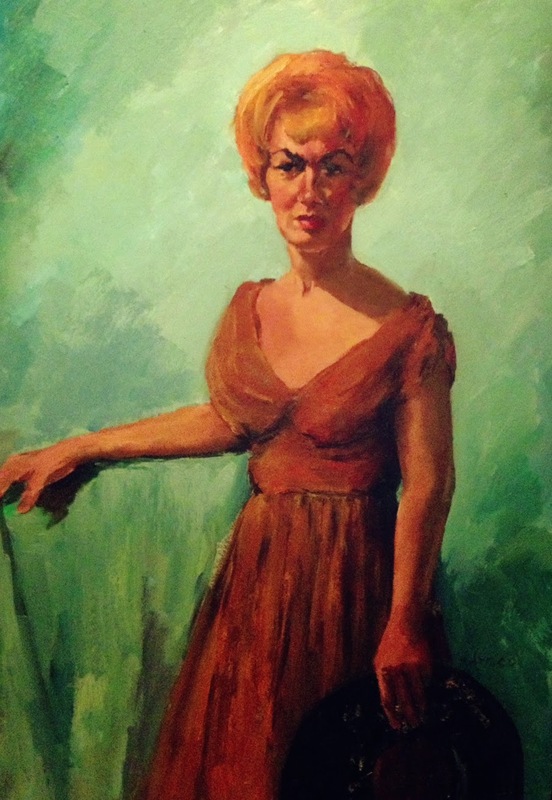 And here’s the painting of Claudia Menlo. Funny how Claudia — a self-motivated harridan who doesn’t mind in the least that her procedure necessitates the donation of a living person’s eyes — still looks softer than Lorina, who presumably was not a TV villain in need of ironic punishments. I’ll continue to wonder why Lorina’s painter made the decisions he made, and I’ll continue to have a pretty solid hunch about how the final product ended up at a thrift shop in the first place. 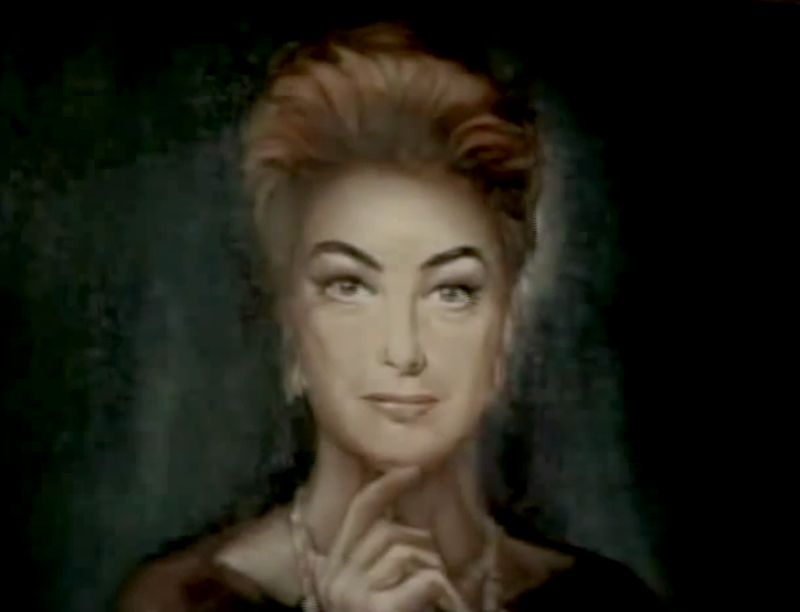 So in the end, as the result of an inexplicable syndication packaging decision, Joan Crawford’s final acting role kinda-sorta was on Night Gallery after all. And if you click above, you’ll see Crawford four years older than she was in "Eyes," playing the innocent victim but looking oddly more like Lorina Dunlop than ever. There’s one major plus to The Sixth Sense being rolled into Night Gallery, however: Anything airing after the Night Gallery opening credits instantly seems more appealing. They’re beautiful — straddling the line between creepy and weird, and perfectly capturing the transition from 60s psychedelia into a bolder 70s brand of supernatural. Button, Button — Who’s Got the Button?